EFFECTIVE DECEMBER 9, 2014, any home purchased after this date can only be purchased for single family home occupancy use by the new owner (ABSOLUTELY NO RENTALS). FOR REALTORS ONLY - need gate access to show "For Sale" inventory to prospective buyers? 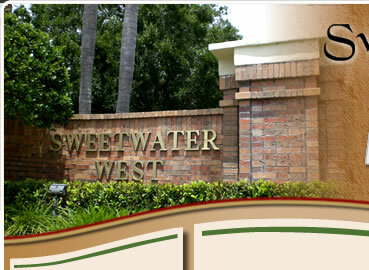 All Sweetwater West residents are hereby notified of the following changes to usage of the entrance/exit gates at Northfield Drive (also known as the Welch Road gates). Starting Labor Day weekend (on or around Saturday, September 1st, 2018), only Sweetwater West residents will be allowed to enter and exit our Community at the Welch Road gates with the use of the remote hand operation gate openers (which residents should already be in possession of). The Board has determined the excess damage to the gates at Welch Road should cease when non-residential/commercial traffic is re-routed to our main gate area (off of Wekiva Springs Road). If you currently do not possess a gate opener, contact our Property Manager, Ramona Leccese at 407-788-6700 extension 51404 or at rleccese@sentrymgt.com to obtain one before September 1st. Property Management will not be available over the Holiday weekend, so if you fail to do this, you will need to contact Ramona on Tuesday, September 4th. We are asking all residents to be patient and cooperate with our HOA Board in the interests of preserving our Welch Road gating system. Thank you! Homeowners – this information should help you understand how complex the situation is with our septic tanks. FDEP and FDOH are two Florida Agencies that express different viewpoints on the issues involved. You will see as you read. The key “take away” message you need to keep in mind while you read this is that we still do not have PASSIVE choices to solve the problem. 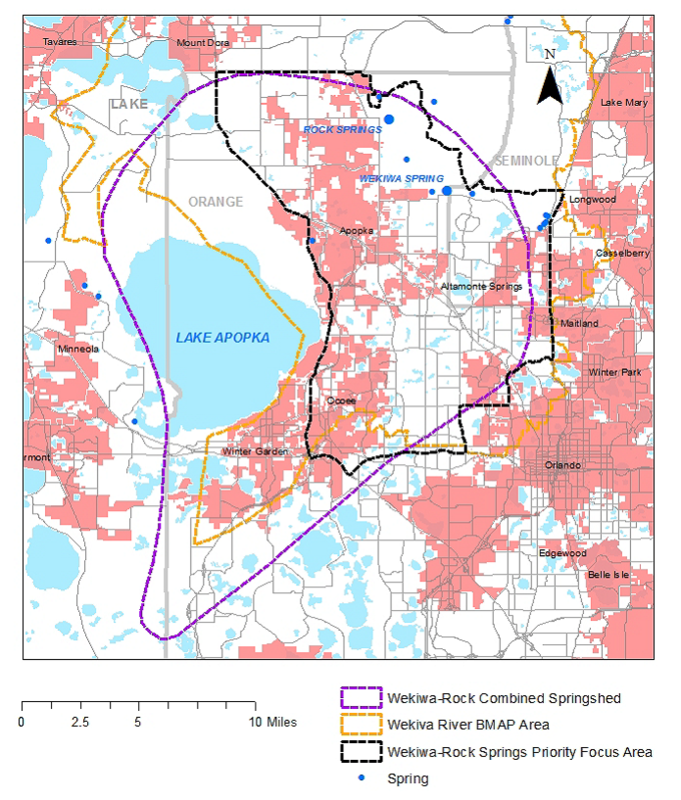 Here is the image of the BMAP area (wekiva springs shed area). Rock Springs is also included in this area. The "priority focus area" is within the yellow designated boundary, but the purple boundary is in the springs shed. The affected area covers from the edge of Mount Dora east to Longwood and Maitland, across Pine Hills to Winter Garden and Ocoee.